Paying for your new Volkswagen doesn’t have to be a scary process. 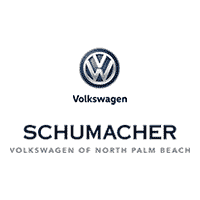 The financing team at Schumacher Volkswagen of North Palm Beach, Florida, makes loaning or leasing your next car a quick, easy, and personalized process. We have strong relationships with local financial institutions, letting us build a lease or loan deal that suits your unique needs. Have bad credit or no credit? We have low-interest loan options available for people with existing loans. Make sure to browse our current Volkswagen lease deals to save on your next vehicle. Any questions or concerns about financing? Give us a call at (844) 783-3509.